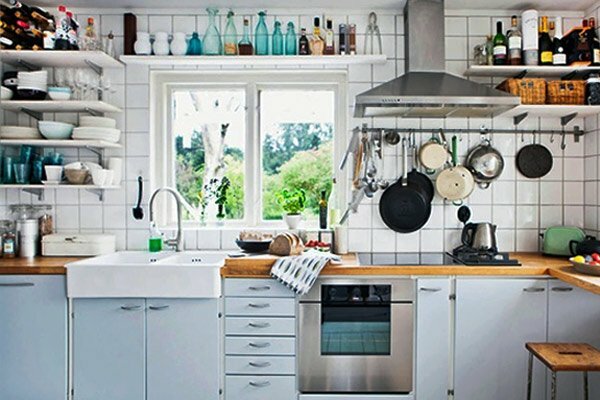 Having a small kitchen does not necessarily have to mean that it is a disaster. 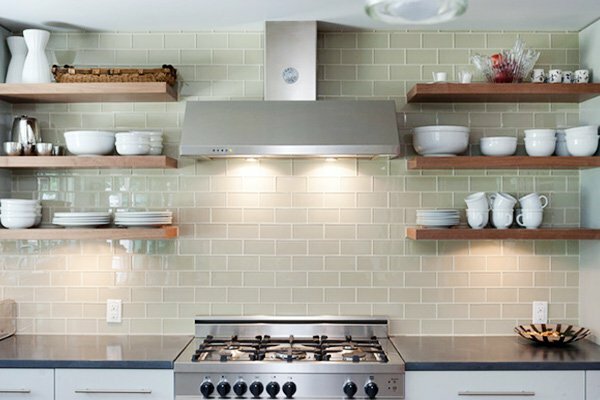 You can create a more convenient kitchen space with kitchen decoration ideas that you can find here. 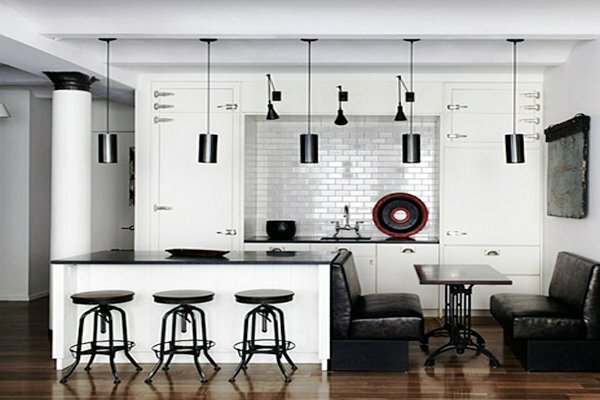 You can make the space bigger by joining the rooms together, and if that is not an option you can make use of many kitchen decoration ideas that suits your needs. 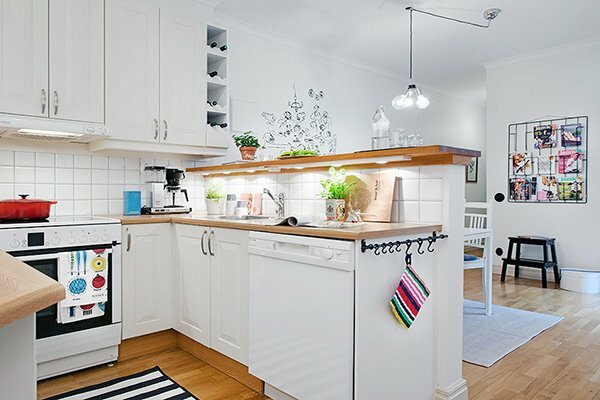 There are so many different options for small kitchen decoration, and the most popular idea is to make the place look bigger than it really is. To get that feeling, all you need to do is apply the little tips and tricks in your design and decoration. Another way is to turn the place into a practical and convenient one. You can pick up the idea that best suits you needs and your kitchen construction with the samples we offer here. 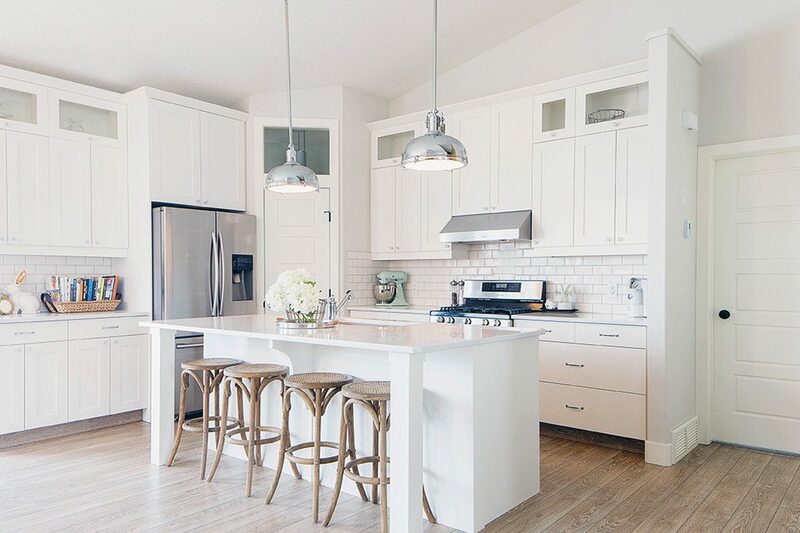 It is a known trick to use mostly white on the walls and also on other objects like kitchen cabinets, kitchen accessories and so on. Always opt for brighter colors if you would like your kitchen to feel more spacious. 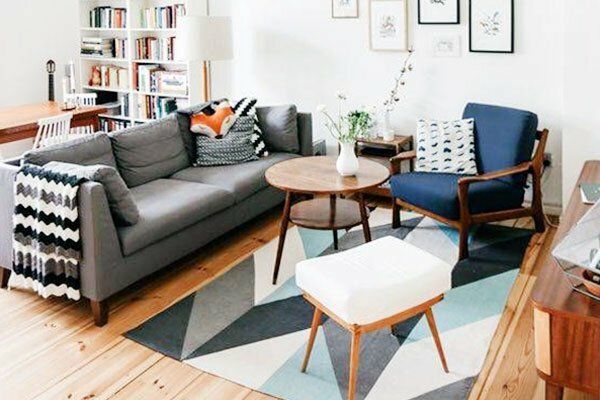 Your furniture should also have bright and light colors to go with the rest, but do not get too lost in bright colors. Small touches of contrasting colors offer a vintage yet modern style and you can use contrasting colors on kitchen accessories, on shelves, or other smaller objects. Lighting here is also essential as it is in the other rooms of the house. If your windows are rather small and if you have a wrong lighting design, your kitchen can look smaller than it really is. You need to make sure that your kitchen gets abundant light that is warm and welcoming. Among so many lighting ideas, one of the most popular one is to opt for spotlights instead of luminaires. 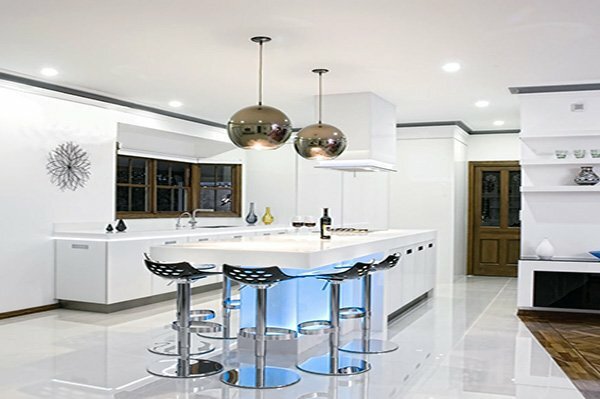 For a bolder and more modern touch, you can use new lighting options, and complete an important step in your kitchen decoration. 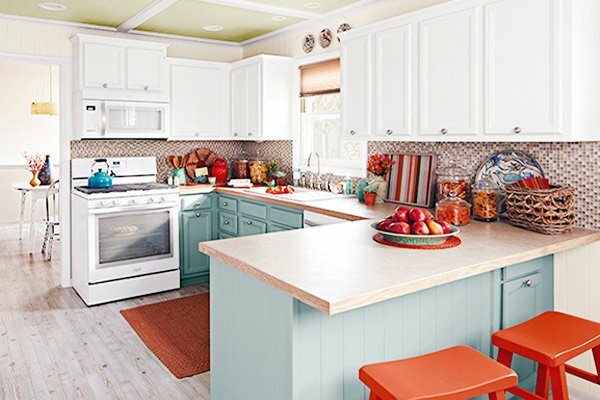 Multi-colored cabinets offer a warmer atmosphere, while solid color cabinets offer the elegance you are looking for, without creating a monotonous mood. The choice of cabinets should not be treated lightly. The style you are looking for can be obtained easily with the kind of cabinets you choose for your 2016 – 2017 kitchen design. 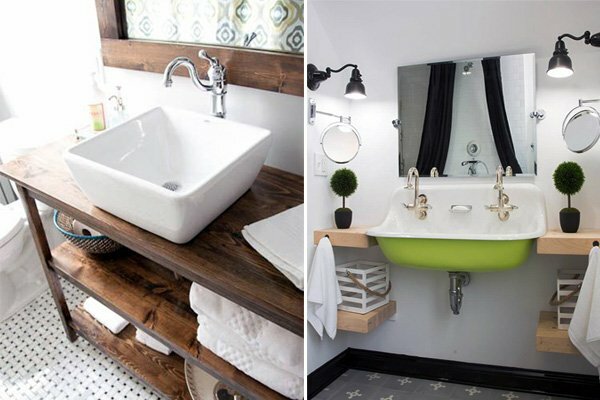 You can create a vintage, or a retro style with colorful and wooden cabinets. 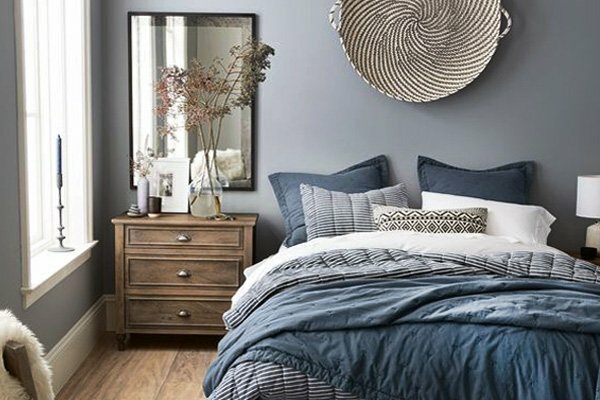 Opting for contrasting colors is also a bold move. 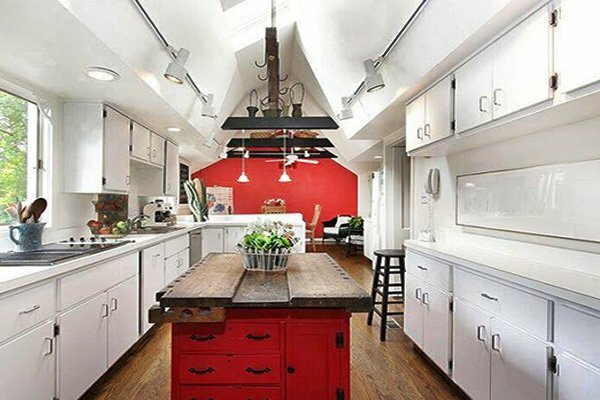 Small kitchens can be turned into spacious ones with practical kitchen design ideas. You can use neutral colors on top shelves and place darker colored cabinets closet to the floor. 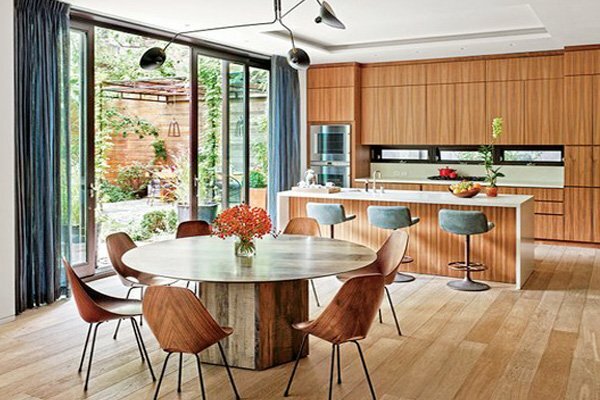 If you are looking for a more natural style, use wooden cabinets and tables and chairs to create that feeling. Opting for white, light blue, grey or beige can also light up the space as you wish. 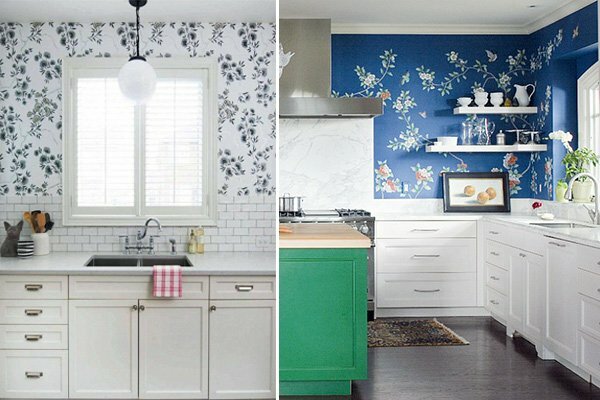 Using contrasting colors can also give a modern touch to your kitchen decoration.